3.4 out of 5 based on 14 bloggers and 0 commenters. 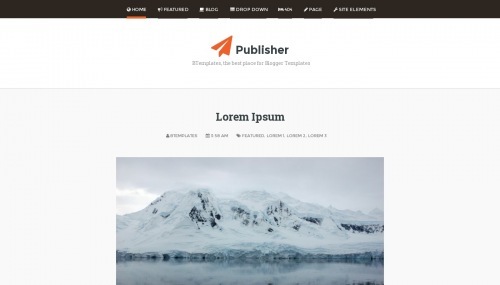 Publisher is a free blogger template with 1 column, responsive design, minimalist, an exclusive design for Blogger, footer columns, drop down menu, related posts support, well designed threaded comments, 404 error page customized, simple look and neutral colors. Excellent template for blogs about business, to write a diary, fashion, photography or a personal portfolio site.